Electrical and key opening small light duty cash draw. Electrical and key opening. Separation slot and removable coin compartment. Electrical and easy-push opening. Tested up to 1 million openings. Electrical and key opening. . Extra strong telescopic sliders with adjustable and removable tray. Electrical and easy-push opening cash drawer, tested for at least 2 million openings. Electrical opening flip top cash drawer, tested for at least 1 million openings. Mounting Bracket for SD-4141 & HD-4141S. Ideal for secure fixation. Quick and easy to install. Mounts under the counter. 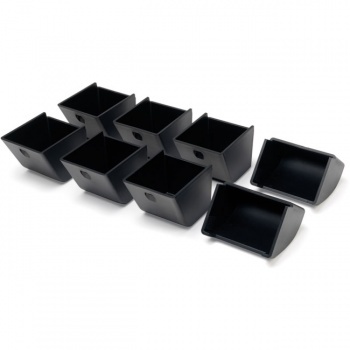 Lockable Lid for SD-4141 & HD-4141S cash trays. Ideal for shift changes. With 2-position lock, locks your cash drawer securely. For SD-4141 & HD-4141S. 8 coin compartments, 6 banknote compartments and Removable coin tray. 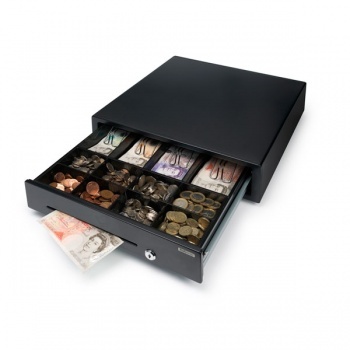 This cash drawer insert tray is designed to fit the HD-4646s cash drawer. 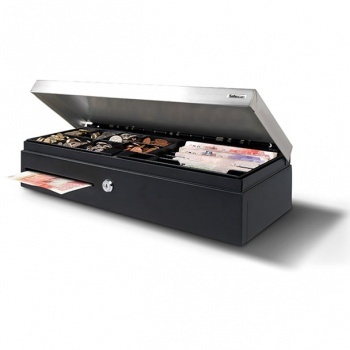 Custom-built to fit the coin compartments in the 4141 series cash drawers and the 4141T1 and 4141T2. Custom-built to fit the 4617T’s coin compartments and instant use with the Safescan 6165 or 6185.